We choose the Mavens for our creative collective very carefully. Jennifer Dopazo is not only one of the most talented graphic designers around, she also happens to be working on the cutting edge of the international open source design community. For those of you unfamiliar with the term “open source,” it refers to the creation of technology, typically through a collaborative process, designed to be freely accessed, distributed and improved upon by anyone who is interested in contributing to the collective effort. You may recognize the concept in relation to computer software or sustainable energy technology. Jen recently returned from a trip to Madrid, Spain, where for the last four years she has been affiliated with Medialab Prado, a government-funded forum dedicated to supporting all forms of art (just imagine a very liberal National Endowment for the Arts with its own physical location). There she has been active as a project collaborator, workshop presenter, and mentor. As you read about her work in this area, you may find yourself discovering a whole new world of technical and creative innovation. I know I have. I invite you to meet Jen and learn more about this exciting frontier in the design world at a free, open source design workshop as part of the upcoming SHE Summit Week on Wednesday, June 12th, entitled Blogging in Pixels: Creating Custom Visuals for Online Content. I’ve been working with Madrid’s Medialab Prado for around four years. At first, they invited me to present a project that I had worked on with an open source documentation group called www.flossmanuals.net. This project is called Digital Foundations – a textbook that teaches design through formal Bauhaus design exercises using open source software. The original one centered on Adobe; we translated the whole book to open source in a weekend event in New York. I then translated the FLOSS version (that’s what we call the open source documentation) to Spanish, and to my surprise, universities have since been using it for classes. In October of 2009, I participated in the I Free Culture Forum in Barcelona with flossmanuals.net. Our main goals were developing formal guidelines for sharing and accessing knowledge, creating an open source support network and coordinating future activities as a community. After the forum, Medialab Prado invited me to give a talk about flossmanuals.net, to explain the process we call “flossification” of a book (translating a book of privative software into free software) and the process of translating this text into spanish. This year, Medialab Prado invited me to participate in the Libre Graphics Meeting, a European initiative to promote the use of free tools in design and define open culture and open design. I presented my work with FLOSS, and spoke about the experience of creating new books and translating them into Spanish, as well as the intention to create a Spanish language FLOSS community. 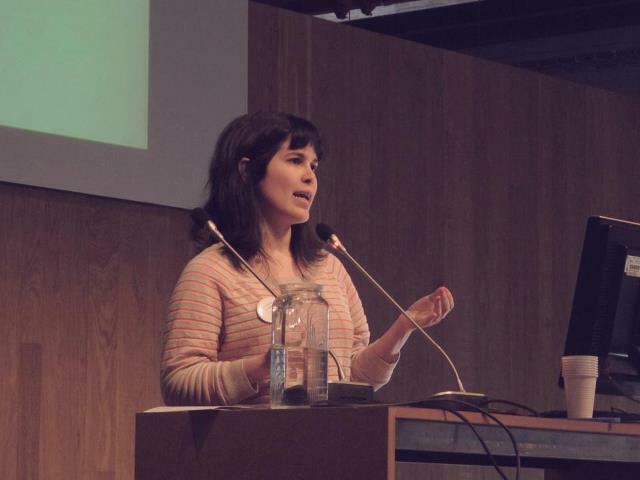 A week later, I presented at Interactivos?’13. The Interactivos? series is one of six projects in the areas of writing, community, art and culture that Medialab Prado runs throughout the year. It has a structure similar to a hackathon, an intensive, multi-day, collaborative workshop that typically results in the development of some new form of shared technology. This year, Interactivos?’13 – Tools for a Read-Write World was focused on the development of tools for collaborative design, drawing and writing. As one of the advisors, I created small workshops for the participants, introducing design students to development tools used mostly by developers, and led small exercises for documentation and collaborative work, mostly between designers, developers and non-technical people. By the second week, The Night of The Books of Madrid took place, and I was invited to present an upcoming project with Medialab Prado called FLOSS Manuals in Spanish Language, which we’re all eager to start. Instead of translating open source documentation from English to Spanish, we’ll be involving the Hispanic community as one to create our own platform. It will be big, and I can’t help but feel blessed that it’s finally happening. My relationship with Medialab Prado is very special. This is a place where ideas become reality, and they’re the most supportive group of people I’ve worked with anywhere. I can’t help but talk about their work, their initiatives, and how this place has become a center of art and culture for many of us, a place where old friends continue to meet, and with time, create new projects together. Meet Jennifer Dopazo, and learn more about her company, Candelita at the upcoming open source design workshop, Blogging in Pixels: Creating Custom Visuals for Online Content, presented by Project Mavens as part of SHE Summit Week on Wednesday, June 12th. Admission is free, but space is limited, so sign up now!